Should Your Travel Brand Embrace or Avoid Travel Influencers? Travel Influencers may seem like the perfect way to promote your travel brand, but beware! This post will help you to avoid making serious mistakes and set your influencer campaign up for success! Travel brands and travel influencers are a match made in heaven. Influencer marketing is all the rage these days, but there are few industries as well suited for it as the travel sector. Too many travel brands are jumping into influencer marketing campaigns without understanding how it’s done. Worse yet, they don’t even understand how to determine whether or not their campaigns were successful. That right there, is why we’re here today. After reading the title of this post, you’re probably wondering why we’d start off with this section, but stay with me. Most brands are dumping money into influencer campaigns without ever being able to determine whether or not they were successful. For those brands, avoiding travel influencers is a must! They’d be far better off focusing on other channels. However, if you’re willing to take what you learn here and apply it to your next influencer campaign, we agree that travel brands NEED travel influencers. When done right, influencer campaigns can be an extremely effective way to reach new audiences. 92% of customers are influenced by online reviews. Consumers who read reviews on a smartphone are 127% more likely to buy than those who read reviews on desktops. Influencer content provides 88% better brand recognition than traditional branded content. If they do their job well, travel influencers are essentially providing their audiences with rave reviews that get people engaged with your brand and excited about what you have to offer. Remember, while the term “influencer marketing” implies that there is an exchange of goods, service, or money to reach an influencer’s hard-earned following, both influencers and marketers agree that the review should remain as authentic as possible. People know when they’re being fed promotional media, which is why taking a more authentic route may be your best option. That’s why it’s important to connect with an influencer that represents a good fit for your brand. First things first, let’s get clear on what a travel influencer really is. Most brands think the term “influencer” is synonymous with those with large social media followings or lots of website traffic. In fact, an influencer is best defined as one with the ability to influence others to take action. That action—a website visit, an ebook download, a social media follow, or even a visit to your destination—will vary based on your campaign and the goals you set before launching (more on that later). The point here is that the influencer’s reach and popularity should be a secondary consideration when promoting your brand via influencer marketing. If all you want is a lot of eyes on your product, your marketing will be no more targeted than if you were to pay for a billboard (maybe even less so). An influencer who can get their following of 100 people to see the value in your offering and take action is more valuable than the “influencer” who puts your destination in front of a million uninterested and unengaged eyes. Too many brands participate in influencer marketing simply because it’s trendy. The problem is that without the appropriate targeting and vetting of relevant influence, they might as well be paying for skywriting. You may be chomping at the bit to deliver your brand to a new audience in an authentic and organic way. You’re looking for a true influencer, not just someone with a large following, remember? Moreover, you’re looking for the PERFECT influencer. One that matches up with your brand organically. So how do you go about finding such a rare commodity? Pairing your brand with the wrong audience would mean even the best blog post or social media campaign would be clicked off or scrolled past without a second’s hesitation. The most important part of any influencer campaign is pairing with an influencer who represents a relevant following. Their audience must be (mostly) made up of people who are interested in the things your travel brand has to offer. For example: If your brand sells backpacking and outdoor adventure gear, you won’t be well served to team up with an influencer that travels mostly to beach destinations, no matter how large their following. Instead, find someone who focuses on wilderness travel and mountaineering. You’ll be putting your brand in front of people who are far more likely to buy from you. We’ve included a list of tools below to help you determine whether an influencer’s audience is relevant to your brand. We’ve found that there is a sweet spot when it comes to influencer marketing. You see, there are relevant influencers out there that have a small but loyal following. For some brands, it will be worthwhile to send them your product to review or invite them for an experience. For many brands though, the small size of their audience won’t be able to influence enough people to make it worth your while. Then there are the mega influencers. While there are a select few that retain a level of authenticity even as their followings climb into the millions, these influencers often come with a high price tag or long list of demands when participating in an influencer collaboration. But that’s not even the main reason we would steer clear of the biggest fish. You see, if their audience was massive and truly remained loyal and targeted, it would likely be worth the higher cost of do business with these people. The problem is that as their followings grow they become less and less focused. That loss of focus means these people have less actual influence over their audiences. The larger the audience becomes, the less precise their campaigns become. Rather than a single person talking to their intimate following, it becomes a social media celebrity endorsing a brand. Once again, some of the tools we list in an upcoming section will help you to determine whether or not working with these influencers is worthwhile. Before you start reaching out though, it’s crucial that you define the goals for your influencer campaign. All this talk about successful influencer marketing probably has you ready to start reaching out to travel influencers, but hold your horses. This is marketing after all. Before you set out on your first campaign, let’s talk about how to make sure it will deliver realistic results. Rather than going over what each of these categories looks like, let’s look at some examples of how this SMART framework can be applied to influencer marketing. One of the most obvious ways to track your success is by measuring your new traffic and where it comes from. If you don’t already using Google Analytics on your site, start now. If you don’t know where your traffic is coming from, you’re marketing blind. If you’re working with a blogger, it will be easy to track the traffic that is referred from their site to yours. The same goes for those linking from an Instagram, Twitter, or Facebook page. The increase in website traffic can be used as your metric for success once you define your baseline. Sample Goal: Increase website traffic by 15% for 30 days when working with a popular travel blogger. With this type of goal there are a few things to consider: the amount of traffic you’re currently getting; new versus returning; and, the conversion rate of that traffic (purchasing a product or signing up for your list). Be realistic with your goals and expectations. Many brands only look at an influencer’s page views (traffic) when vetting their level of influence. Sure, this is important, but it’s not the only thing you should be paying attention to. Another important metric to consider is the times a page is viewed versus the times its content is read. After all, even with the appropriate links in place, not everyone who views your feature will decide to visit your site. Instead, the brand awareness you build could be all you need to consider your campaign a success. You want to work with someone who is creating content that people actually want to read. Determine their baseline time on page figure and use it as your metric for determining success. For example, if you’re influencer averages 8,500 Pageviews per feature per month and an average Time On Page of 1:20, a similar figure for your feature could be counted as a success. Sample Goal: Based on the metrics above, you would want to generate 7,000 Page Views per month for 3 months and a Time On Page of over 1 minute. Another way to measure the success of your campaign is via the engagement (likes, comments, and shares) your feature(s) receives. Once again, you’ll need to determine a baseline for your influencer’s content to determine whether or not your feature(s) is well received. Higher than average engagement is good, while lower not as good. But it all depends on the baseline figures you collect. Remember that you’re looking for an influencer has a high baseline level of engagement because you want to put your brand in front of an audience that interacts with their content. For example, the engagement rate on Instagram is typically defined as Total Engagement, where the likes and comments are counted equally. To determine your engagement rates on Instagram you’ll use this equation: Engagement = Total Engagement / Followers. Average engagement hovers around 3%, so anything above that is good, less than that is not as good. However, you’ll want to factor in the size of the audience when determining a campaign’s success. Larger followings will average lower engagement, the opposite being true for smaller audiences. Keep all of these things in mind when defining your goals and use your own experiences to help define future campaign goals. Sample Goal: Generate a 5% engagement rate across 7 featured posts in a 14-day period. Your own social accounts can also be used as a metric for success. Remember, your campaign should be focused around a particular social platform. If you work with a Twitter influencer, you’ll want to focus on growing your Twitter following and use that growth as your metric. In this case, one of the factors that will determine whether or not a travel influencer is a good fit is their involvement in the specific platform of your choosing—in this case Twitter—as well as how engaged their following is with their content. In each of the posts your influencer creates for your brand, they would be asking their audience to follow your Twitter handle as well. You’d be well served to invest some time creating all-star content on your Twitter account before your influencer campaign launches. Sample Goal: Your goal could be to increase Twitter followers by 12% in 30 days. Lucky for you, influencer marketing has become extremely popular in recent years. That means it’s easier than ever to find influencers. This trusty search engine never seems to let us down. A simple Google search will produce list after list of top travel influencers. The nice thing about these lists is that many of them break down each influencer into the information buckets most relevant to those looking to collaborate with them. Many break down influencer reach via their social media followings or blog/website. Most provide the number of followers for each platform and links to their website so you can reach out to them directly. Most of these lists will also describe the niche that each of these influencers caters to. Some lists are dedicated entirely to a specific segment, such as family travel. Some of these lists even break down the different brands each influencer has worked with. This is very important because you’ll be able to fast track your research. If an influencer has worked with related brands or brands within the same vertical (that aren’t a direct competitor) they may be a good fit for your campaign. Instagram, Twitter, and Facebook all give you the option to search for influencers by hashtag. Search for hashtags related to your niche and try including the words “influencer” or “influencers” too. 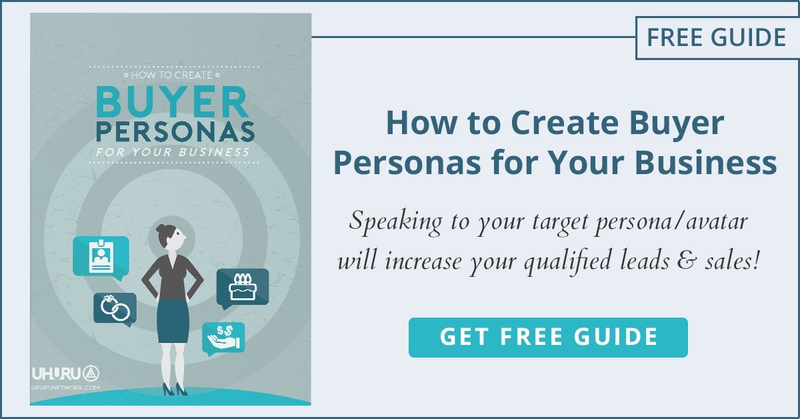 You’ll likely have to sift through a lot of “wannabe” influencers to find the right people, but this is a great way to get more for your investment. There are a few excellent tools out there to help you with your influencer campaigns. Here’s a selection of some of our favorites. Demographics Pro (Hootsuite) is a great way to learn more about travel influencers on Twitter. This app display all kinds of demographic info about an influencer’s Twitter following, including gender, age, income, cities, occupations, interests, brand affiliations, audience correlations and more. Related: Followerwonk by Moz is another excellent alternative that delivers similar information about twitter influencers. Another cool tool from Hootsuite, Geopiq allows you to see who’s posting on Instagram in your area. This is great for destination travel brands as they can contact those influencers that are already nearby. The ease of working with a travel influencer that’s local makes this a must have. Consider the saving of travel costs and how much more likely an influencer will be to work with you if they’re already nearby. Talk about bang for your buck! If you’re ready to get really serious about your influencer campaigns, Onalytica offers comprehensive software that covers everything from strategy to research and campaign monitoring to impact measurement (ROI). The problem with most influencer campaigns is that when brands work with someone they hope will bring them business, they don’t know how to measure results. Essentially, they don’t know if their influencer marketing worked or not! Being able to track your results is a pillar of any successful marketing campaign. Influencer marketing is no different. Related: Brandwatch is another excellent software to help you manage your entire influencer marketing program. A bit more unknown: HubSpot. We’ve written about how to manage and track influencer/blogger campaigns with HubSpot in 11 Powerful HubSpot Ecommerce Marketing Secrets (+1 Bonus). A great way for travel destinations to go about reaching many influencers all at once is to create a resource of your own. Start a blog or website dedicated to your destination. Up and coming influencers, especially bloggers, will jump at the chance to share a piece of their content with your site. This way you’ll have bloggers sharing all different types of content about things to do in your area, top restaurants and hotels, and more. The links you provide to their sites will be beneficial for their sites and you’ll be able to generate tons of great content with very little investment. If so, you likely know that you can’t rest on your laurels hoping that the perfect travel brands contact you. Instead, you want to be reaching out to these brands offering to do write-ups, product reviews, and publish outstanding content about them. But how do you reach them most effectively? The number one rule of influencer marketing is that the influencer must represent a good fit for the brand running the campaign. Just because you’re the one making the ask doesn’t make things any different. When we talk about finding brands that represent a good fit, we mean brands that would be interested in your niche following. For example, if you’re a family travel influencer, you likely won’t want to reach out to an adults-only resort destination. You’ll have a better chance working the angle of covering family friendly hotels or activities as they’ll be more relevant to your audience. If you’re just starting out and have a small but dedicated following, you’ll have an easier time asking for small influencer incentives (such as a free meal or a one-night stay in a hotel). These things don’t cost the businesses providing them very much and they’ll be less likely to worry about your existing level of influence. If you’re contacting a brand to send you a product to review, don’t ask for their highest cost product right off the bat. Develop a relationship with the brand by starting small and creating excellent content around that product. Once they’ve seen what you’re capable of you’ll be able to return to them with larger proposals that include stats and examples of engagement on your previous post. Another way to make a good impression on travel brands you reach out to is to make each request is as personal as possible. Get to know the brand and their company values before sending them an email. Most brands post some sort of “about us” content, mission statement, or evidence of what’s important to them on their site. The more you know about what matters to them, the better your content will be. Plus, when you reach out to them, you’ll be able to tell them about your creative angle and why you feel your brands fit so well together. Follow social accounts of the brands you’re interested in contacting. You’ll be able to get a feel for the types of content they’re most interested in and you can send them examples of similar pieces you’ve already created for other brands. Even if you haven’t created similar content, take the time to follow them to better understand how to appeal to them and what they’ll expect from your upcoming feature. When it comes time to make your ask, there are a few simple rules to follow to make your outreach most effective. One of the most important parts of an influencer campaign is your angle. If your audience is mostly young people looking for places to take a safe, first trip internationally, speak to that. Contact brands that fit that description and make it known that that’s why you’re so interested in working with them. The fact that you’re able to speak to things that are important to these brands will grab their attention even if they wouldn’t normally be interested in a collaboration. Also, make it personal. Include at least one item in your outreach email that speaks to something that you appreciate about the brand. Make it genuine and tie it into your creative angle. Especially in your first email, shorter is better. When reaching out with a cold contact, the quicker you can relay the most important information the better. Speaking of important information, make sure you present as much information in as few words as possible. Tell them about your brand, your angle, and your proposition in a few quick sentences. That way, they’ll quickly read over everything in the email without getting bored or confused by too much information up front. You’ll always have the opportunity to fill in the gaps if and when they reply to you. Finally, don’t hesitate to make your ask. Be clear from the get-go and all parties will be better off. If a brand is interested in working with you, they’ll let you know. If they’re not, they’ll let you know about that too. The point is to make sure everyone is clear what you’re asking for and what is to be expected from your campaign arrangement. Ask for what you need to make the collaboration worthwhile. If you’re new, keep it simple. If you’re an expert influencer, you’ve done this before and it’s important that you lay out everything you’re looking for in the first few emails. It’s time to get started on your own influencer campaign. Remember, don’t let a massive following or flashy content distract you from everything you’ve learned here today. You have everything you need to participate in truly successful influencer marketing. You now know what you’re looking for and how to find it. All that’s left now is to start defining your goals, seeking out influencers that can help you achieve them, and putting your brand in front of a fresh, relevant, and engaged audience.